Whatever your business, whatever type of entrepreneur you are, if you want to rent an office in The Hague, look no further than Tauro. Why? At Tauro, you can rent an office in The Hague starting from 25m2. You can rent office spaces, on short-term and flexible leases, if desired. • Our office in Bezuidenhout is situated within walking distance of The Hague Central Station in a wooded area. The building has its own car park. • The office at Koninginnegracht is situated in the heart of The Hague. With its unique look, own car park and Tram 9 right on the doorstep, this is a perfect office to rent in The Hague. • Situated near the World Forum, Omniversum, Gemeentemuseum Den Haag and the beach of Schevingen is our Statenkwartier office. It, too, has its own car park and is easily accessible by public transport. • Our Forepark office is situated on the A4 at Prins Clausplein. Excellent access both by car and public transport. If you are looking to rent an office in The Hague at a great price, look no further than Tauro. Small(er) businesses with big ambitions can rent an office with Tauro at affordable prices. In fabulous locations with facilities including parking, reception services and meeting rooms. With the option to upgrade the space at any time, even on a project basis. All office units are semi-furnished and equipped with modern office facilities. And our offices are affordable. 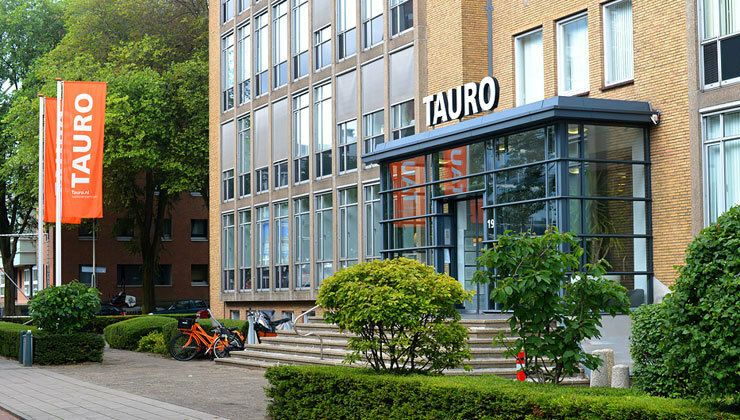 In short: If you want to rent an office in The Hague at an affordable price, look no further than Tauro. Looking to rent an office in The Hague? Make an appointment now by clicking the button on the right of this page! Also for viewings of our locations.